Are you ready to take back your market share and increase your profit margin but not ready to commit to the high price of new equipment or additional employees? Collaborative Tooling Technology Inc. can help. 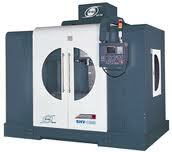 We provide design, programming, and high speed machining capabilities. CT Tech uses the latest versions of Pro-E with tool design package and EMX mold base extension and Solidworks Premium. This technology provides a complete 3-D mold design and significantly shortens design time. We can customize moldbases, including moldbase selection; moldbase sizing based on actual cavity size; and guide, locating ring and sprue pin modifications. Because of our technical experience in part and mold design, we can give our customers more cost savings during the entire process of building the mold. When reviewing mold design options, the part design will be discussed to improve molding conditions such as parting line, draft, and radii to provide a more cost effective all-around tool. Typical savings after doing a part design review can result anywhere from 15 – 25% of total mold costs.